We love the setting of weddings at his location! 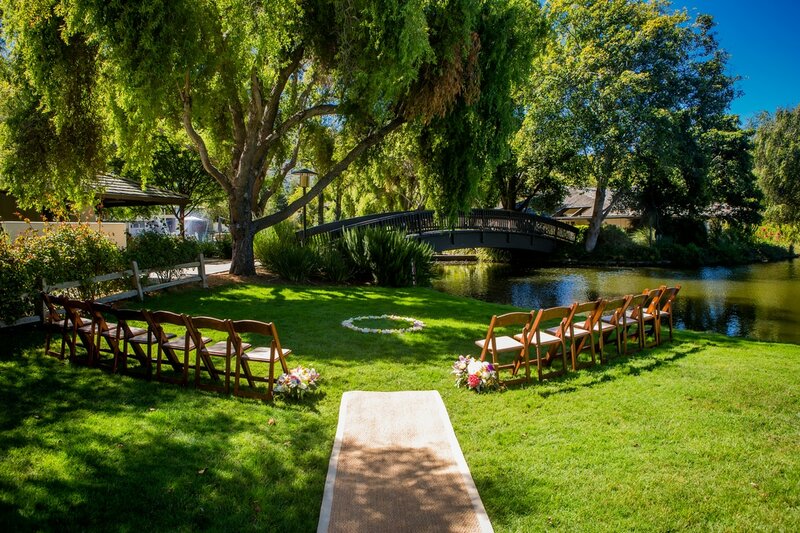 The bridal suite opens onto a pathway that leads to a beautiful lawn adjacent to a lake and with a arched bridge in the background. Available for smaller ceremonies and the property accepts weddings on a case by case basis (depending on other events and time of year). Beautiful for photographs and this resort offers fine dining, golf, a spa and that warmer Carmel Valley Weather. Starts at $1,000 and above.